Jon Turner is a fast man—he talks fast, he walks fast, he thinks fast and he works fast. I know this sounds like a Jimmy John’s commercial, but Jonny T, as his friends call him, isn’t making sandwiches; he is creating tone. I sat down with Turner in his basement in Ogden. The low ceiling and walls framed his work table and guitars hung from stands all over the room. Turner launched into a very scientific explanation of tone, why he is obsessed with it, and how it is his personal mission to help Utah’s musicians obtain it. It’s like alchemy to Turner. “Music is a way to achieve immortality,” he says. As a child, Turner was speaking with his father as they listened to The Beatles. Upon hearing that John Lennon was dead, Turner replied, pointing to the speakers, “No he isn’t, he is right here.” This marked the beginning of Turner’s path. Growing up in relative poverty, it took Turner years to get his hands on his own guitar and amp. Whenever his equipment had problems, he was denied his love of music because he would have to wait while the gear was repaired. This was often a long, drawn out separation, and Turner can’t have that. He’s a fast man. 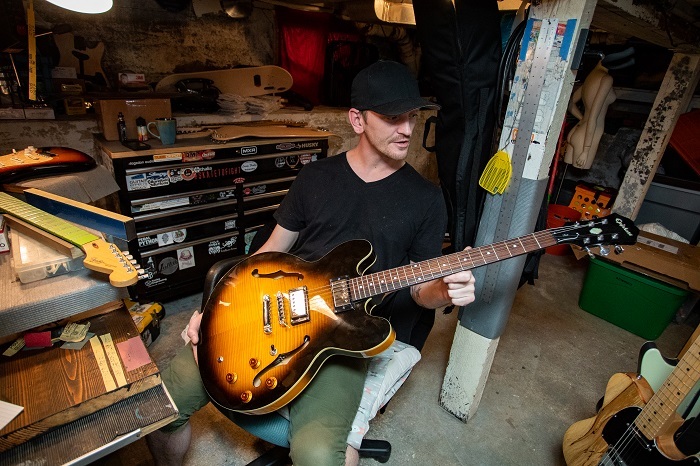 As a working musician who plays around 330 gigs a year, I’m in 100% agreement with Turner, so he was the one I chose to repair my personal guitar. In two days he fixed it’s broken neck, resurfaced the fretboard, installed strap locks, new locking tuners, and patched some holes in the body. He turned a road-weary old guitar into a newborn songbird. I was very impressed. 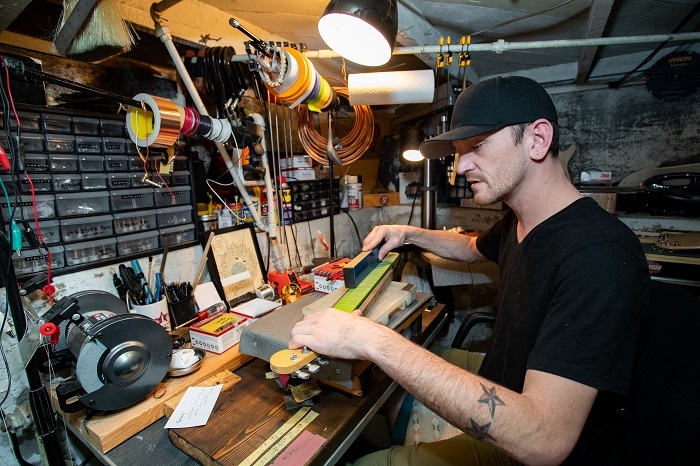 In addition to repairing instruments and amps, Turner also builds custom lap steel guitars from skateboard decks. 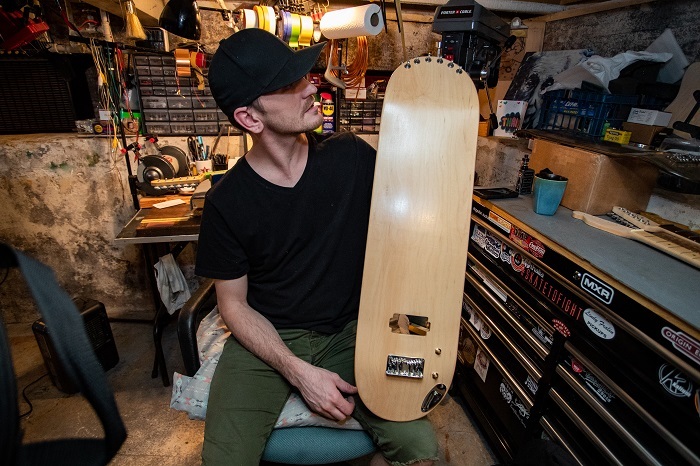 Each instrument is handcrafted with the finest of materials and built for steady road use. 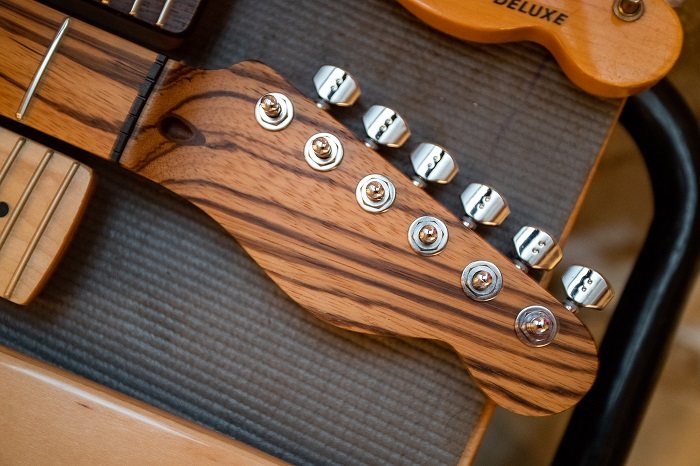 I recommend Turner Guitar Company to any musician, no matter your needs. Turner is capable, and oh, extremely fast. Reach Turner Guitar Company on Facebook, Instagram , or by phone at 801-381-1919.